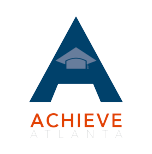 The Georgia College Advising Corps (GCAC) works in underserved high schools throughout Georgia to increase the number of low-income, first-generation, and underrepresented students who attend and complete higher education. We help students find their way to college by placing well-trained, recent college graduates in high schools to work one-on-one with students as they navigate the complex college admissions process, including researching college options, completing applications, and applying for financial aid. The Georgia College Advising Corps meets a critical need. Although postsecondary education is essential to economic security, many students do not have the support needed to chart a path to success after graduation. This is especially true in Georgia’s high schools, where the average student-to-counselor ratio is 490:1. College enrollment can be even more challenging for our highest need students, who often do not have access to the resources and guidance necessary to enroll in college and secure financial aid. We are grateful for the generous contributions of our supporters. In 2018, their donations allowed us to place 21 college advisers in 16 high schools throughout Georgia.